Are politicians NOT allowed to be GAY?!? There are scenes in life that you can never forget like black-and-white pictures from 50s. 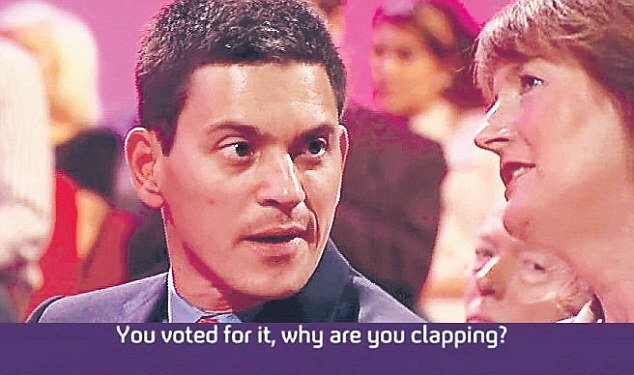 It was one of them when David was clapping his younger brother Ed Miliband on the front line of the crowd at the first leadership speech. Has anyone noticed the coctail of feelings of pride, envy, grief, defeat on David's face? It was clear as a cathedral bell though. He was a bit like Railway Children seeing their father off to jail. He seemed to me that he shut his eyes and tried to summon reserves of patience at the end of that day on his return home. Two men; young, bright and charismatic holding the same surname and having the same blood wandering in their veins. Blood... This word becomes a fat word when it is pronounced in politics. David seemed to have a lot in mind, he was as amazed as I was at the cheap discourse of so-called socialist movement of Ed. I think using Iraq war as your main discourse stinks badly. Ed was not an MP when Labour ruled by Blair (or B-liar) voted the Iraq war. He has never been opposed to Iraq war openly until the leadership contest. At least he has never expressed his standing against the war. How about Harriet Harman, the Miss deputy Labour leader? She was clapping Ed with passion as well. Hasn't she voted for Iraq war in Blair's cabinet? This is what exactly David asked her on the spot!